Video - Raft the Kootenays, BC! The Kootenay Rockies Premier Rafting Adventure! Lardeau River Adventures offers an unparalleled wilderness whitewater rafting experience in the heart of the Kootenay Rockies of British Columbia. 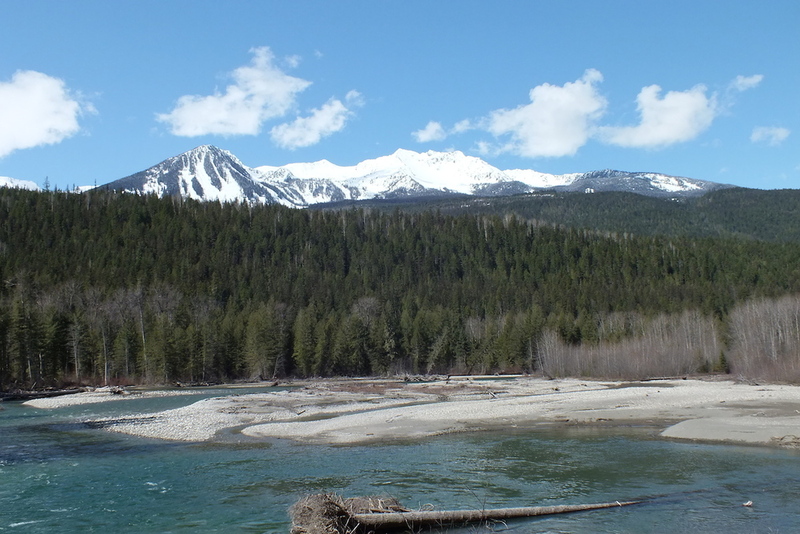 Only 90 minutes north of Nelson and 35 minutes from Kaslo, the crystal waters of the Lardeau wind through breathtaking scenery that is home to an abundance of Rocky Mountain wildlife. This wild, free-flowing Kootenay river offers a mix of exciting class 2+ rapids, plunging waterfalls and mountain vistas making our 4-6 hour guided trips perfect for both the first-time and experienced rafter. Join us and discover why we are the Kootenay Rockies Premier Adventure! May 1. Spring and our season is open! We did a survey run on the river two days ago and were impressed by the numbers of bald eagles on the river. No doubt some brought in with the fishy excitement surrounding the Gerrard Trout spawning. Watching these huge (20lb+) fish leaping and jockeying for position is a magnificent sight. We also ran into an elk herd who are a regular feature in the valley at this time of year. Just when we thought the omens could not be more encouraging, today our first visitors ambled by. These two young Grizzlies browsed beside the Rafting Centre and tussled a bit for 30mins before wandering off. Hopefully to find mom! This is Early Bird Special season with big savings to be had on adventures in May and June. Pass it on! Rafting. Healthier than ever before!